Lenovo hit the headlines for all the wrong reasons this week: the world's biggest PC manufacturer has been accused of installing malware on its PCs. The software, called Superfish, appears to be intercepting internet traffic to inject third-party advertising – and in doing so, it makes affected laptops vulnerable to man-in-the-middle attacks, even if the software has been uninstalled. That isn't just dangerous to users – it's dangerous to Lenovo's reputation too. 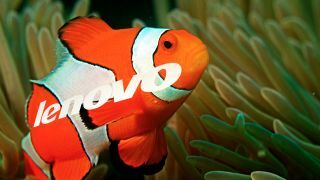 Lenovo has now acted and suspended installations of Superfish on new PCs, but it's been shipping affected hardware for months. What is bloatware, and why should you care? Bloatware used to mean software that was poorly made or designed, but it has also come to mean unnecessary software that's been pre-installed by the hardware manufacturer. A device driver or a manufacturer-branded utility for controlling a graphics card isn't usually bloatware, but a price checking toolbar or a "visual search engine" usually is. The Lenovo case is unusual because bloatware is not normally malicious. The most common kind of bloatware is a trial or a "lite" version of a paid-for product, which is installed in the hope that consumers will then upgrade. However, some bloatware is adware (software that adds advertising to your web browsing or everyday computing) or spyware (software that monitors what you do and sends details to a third-party, such as a marketer). Even if the unwanted software is entirely benign it takes up space and can make a significant difference to your PC's performance. Don't just take our word for it: take Microsoft's. To promote its $99 (around £64, AU$127) bloat-free PC service, Signature, it said that the six Signature PCs it tested entered sleep 23.1% faster, started up 39.6% faster, and resumed 51.3% faster than otherwise identical "cluttered, trialware-filled, slower-than-should-be" laptops. Microsoft has since removed those claims from the web, presumably because it made its bloatware-bundling OEM customers unhappy. This week we discovered that Sony is considering hiving off its smartphone business. Bloatware is partly to blame: Sony made excellent hardware, stuffed it with bloatware and watched rival firms snap up most of the market. One of those rivals is Apple, whose computers are also famously free of bloatware, and the other is Samsung, whose imminent Galaxy S6 smartphones will apparently ship without the relatively innocuous bloatware that has nevertheless been implicated in the less than stellar sales of the Galaxy S5. Given that consumers hate it, and it makes otherwise speedy PCs sluggish, bloatware is clearly a bad idea. So why on Earth do manufacturers persist in installing bloatware?